Synthetic Baler Twine – Percam S.A. 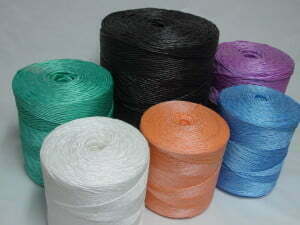 The characteristics of this thread give it an excellent performance. – High resistance to UV rays. – Uniform twist without knots. – Additional length that allows greater productivity. Shyntetic Baler Twine, Pack special dehydrating presses and recovered from Ref.60 to 80 mtr / kg. Shyntetic Baler Twine, sector meat sector. Ref.100 mtr / kg. 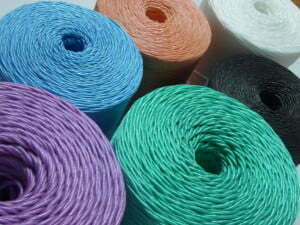 Shyntetic Baler Twine “HD”, Ref. 110 mtr / kg. Shyntetic Baler Twine, Macro-packer Ref. 130 and 150 mtr / kg. Shyntetic Baler Twine, Ref. 200 to 450 mtr / kg. Shyntetic Baler Twine, Round Bales Ref. 500 to 800 mtr / kg. Shyntetic Baler Twine, Thin Ref. Up to 1000 mtr / kg. For any other measure and color consult the commercial office. * All the technical characteristics indicated for these products are strictly informative and not binding.